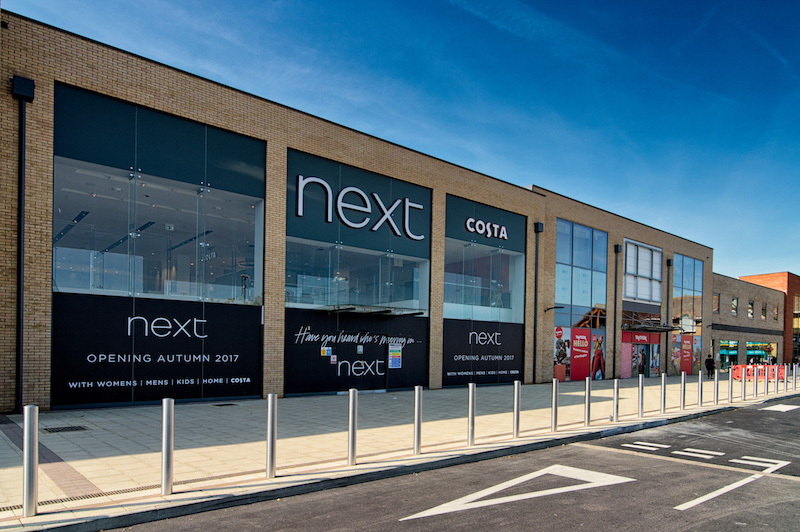 Three more businesses are confirmed to be moving in to the new Chequers Court shopping development in Huntingdon. Both phone firm Three and high-end clothes outlet Robert Goddard already have outlets in the town centre but are moving to bigger premises opposite Wilko and kitchens firm Magnet is also setting up shop in the large corner unit. Shopfitters are currently working in the three adjacent shops. At present Three is based in St Benedict’s Court and Robert Goddard, part of a regional chain, is in the older part of Chequers Court. Oliver Tookman, managing director of Robert Goddard, said the new shop would open in the middle of June. He felt Huntingdon was on the up, although the range of shops available in the town in the past meant shoppers had been drawn to places like Cambridge and Peterborough. Mr Tookman said new shops would encourage people to shop locally – and that the town was starting to benefit from a Cambridge effect in which people were moving out of the expensive city to a more affordable Huntingdon. He said the new shop, which was much bigger than the old one, was a new concept in design and would look like the inside of a Georgian house. The new branch of Magnet is expected to be opening in early July. Stane Retail Park planning permission approved!